The national outcry over Indiana’s Religious Freedom Restoration Act (RFRA) has turned attention towards the 19 states with their own versions of the law and the others that are considering similar measures. The timeline below shows when each state passed legislation, starting with Connecticut in 1993. Click on a state for links to the laws or pending bills. The fight over RFRAs dates to 1990, when the Supreme Court ruled against an Oregonian named Al Smith, who was a quarter American Indian. He had argued that his use of peyote in a Native American Church ritual—an act that cost him his job—should be protected by the First Amendment. He lost, and the ruling made it easier for the government to place restrictions on the freedom of religion. That precedent didn’t sit well with state or federal governments. In the fall of 1993, Bill Clinton signed the federal Religious Freedom Restoration Act, which restored the standard the Court had overruled. “Those whose religion forbids autopsies have been subjected to mandatory autopsies,” Vice President Al Gore said at the signing ceremony outside the White House. This legislation, he said, was something “all Americans” could be behind. And many of them did, including Republicans, Democrats, evangelicals and progressive civil rights advocates. The new law demanded that the government have a “compelling interest” before infringing on religious freedom and that the government must use the “least restrictive” means of doing so. If, for example, a state law required that all vehicles have electric lights, the government might have a compelling interest in making sure Amish buggies were as visible as cars on the highway. But the least restrictive means of compelling them to follow the law could be to make sure they used reflective silver tape, rather than force them to embrace technology. In 1997, the Supreme Court ruled that the federal law applied only to the federal government. 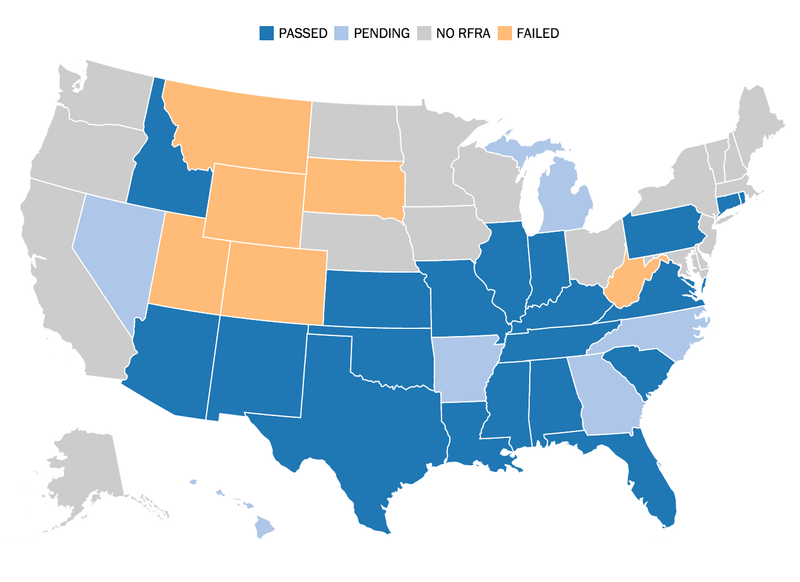 So more states quickly passed their own RFRAs to restore similar provisions at state levels. But the political context has changed drastically since then, and many social conservatives are now championing religious freedom bills as a way to protect them from having to provide service to LGBT people. Critics worry that states will use such laws to combat existing non-discrimination measures in court, providing legal cover for stores that refuse to serve gay customers or businesses to fire LGBT employees.